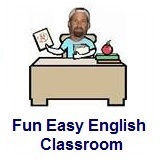 ﻿ Fun Easy English - new classroom free online classes english language lessons speaking listening writing reading september 2. Today in the classroom you are going to learn some slang beginning with the letter O. Today learn slang beginning with the letter O.
oddball unusual person He is an oddball and nobody at his company likes to work with him. OK good That idea is OK.
okay good That idea is okay. An oddball is basically an unusual person. 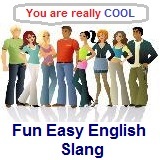 This slang term can also mean someone who does not fit in a certain situation. For example someone who works for a company but is always doing things differently.